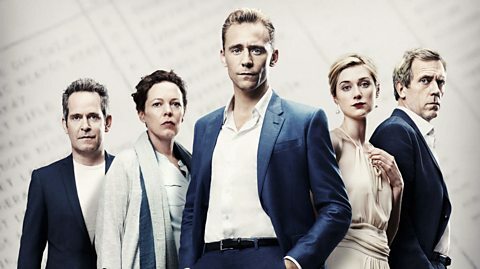 Having just returned from London, I saw the BBC's The Night Manager, based on a book by John le Carre. It's quite a good six-part series, with an exceptional cast and great production values. It comes to AMC beginning April 19. I mention it in this thread because there is one gay character, played by the great Tom Hollander. The character, Major Lance Corcoran, is a villain, though he has his reflective side. Most of his moments, however, consist of being one of the bitchiest, campiest characters I've seen on TV recently. Here's a posed photo of the cast (Hollander at far right); a production photo of the character in question; and a link (with spoilers!) to information about this fascinating gay character. Hollander has been a welcome presence in films for the past couple of decades. Glad to hear he has a good role to sink his teeth into. He was a hilariously campy character in Bedrooms and Hallways (as the object of Hugo Weaving's lust). On stage, he was Macheath in The Threepenny Opera (1994) -- an updated version and the best production of that show I've ever seen. Here's Hollander as Macheath singing "The Ballad of the Easy Life:"
You might also like the new film High-Rise, in which Hiddleston stars. It opens in the U.S. next month. Excellent first episode, and I am in love with Tom Hiddleston. 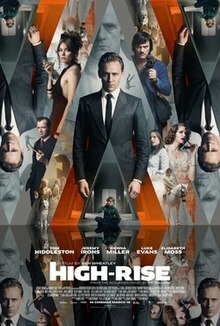 Tom Hiddleston is also the star of High-Rise, a movie which opens next month. Crazy movie and Tom is terrific. The Night Manager gets even better. You've had a glimpse of the very camp gay character, played by Tom Hollander. More of him in the upcoming episodes. Olivia Colman as Angela Burr is brilliant. I am looking forward to the remaining episodes. This one is getting very dark - and it is loaded with commercials - but Tom Hiddleston could probably carry me through anything. That face, those lips, that bod! I am crazy for the man. I saw it on the BBC, no commercials, but the BBC seems to be making more deals with commercial U.S. cable channels, and AMC commercials are endless! I'm watching it again though; DVR'd it last night and will watch episode 2 tonight. There is one commercial that I like though - the Jaguar commercial that features Tom Hiddleston and Nicholas Hoult - man, those two should make a movie together! Not that I think they should remake Maurice, but they would have been a good couple! Yes, I would like to see them together - romantically. Last night's episode was an excellent one. Pine and Roper are developing an interesting relationship. But, needless to day, Pine is putting himself in a very dangerous situation. I do like Pine's budding relationship with Roper's little boy. The kid is obviously neglected by his father. And the mistress doesn't look like she'd be good company for the kid. Does anybody know this young actor's name? Anyway, three episodes in, and I am already a big fan. The entire ensemble of actors/actresses is first-rate. Although I don't really know any of them except for Hugh Laurie. Wait till you get to the end -- thrilling! Btw, Ray, although I'm familiar with many, many British actors, I didn't know many of the actors in The Night Manager either, apart from Hugh Laurie, Tom Hiddleston, Tom Hollander, and Douglas Hodge. Well, that list is enough, isn't it? I just remembered that an actor that I do know - Russell Tovey - had a small bit in the first episode. I remember him from the first season of "Looking". He's rather adorable. I saw him on stage in The History Boys, London, 2004. Terrific episode last night, although why Pine, who now has a new name, Andrew, would sleep with Roper's girlfriend is beyond me. She's very tall and very thin, has a really bad haircut and prances around like she's the current Miss World. I also didn't understand why Pine/Andrew would not leave the operation when he was ordered to by the woman in charge of the operation. I really like the developing relationship with Pine/Andrew and Roper. Roper cares for him a great deal. I didn't care for Corky's big meltdown in the restaurant in which he starts to grab Pine/Andrew's ****. It came out of nowhere, I'd say. Although Roper explained later that Corky wants Pine/Andrew. Still, it did manage to be gripping TV. I think at the start, he wasn't as committed to the operation as she (Angela) was; but by the time Angela had begun to fear for his safety, Pine had already become committed and wanted to continue, whatever the risks. Corky's meltdown was a bit OTT! I think it was partly desire, partly suspicion, and partly the fact that he (Corky) was beginning to feel marginalized. Jonathan Pine, who is now calling himself Andrew Birch, killed the gay character, "Corky", because Corky had discovered that Andrew had "escaped" from the compound. I have read that, in the book, "Corky" is NOT KILLED. Anyway, "Corky" was such an interesting character. I will definitely miss the man. I saw the actor once on Broadway in "The Judas Kiss". And I was mesmerized by his performance. Rayban, what is the name of the actor in question? what is the name of the actor in question?